12.9" x 12.9" stitched on 14 count. 10.0" x 10.0" stitched on 18 count. 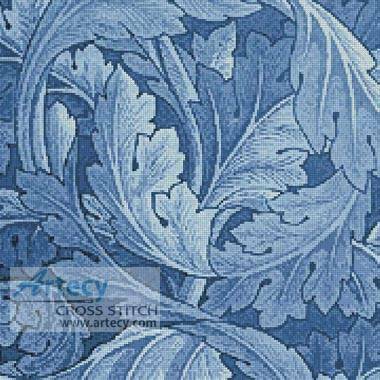 Blue Acanthus cross stitch pattern... This counted cross stitch pattern is based on the artwork of William Morris. It would look good on a cushion or wall hanging. Only full cross stitches are used in this pattern.